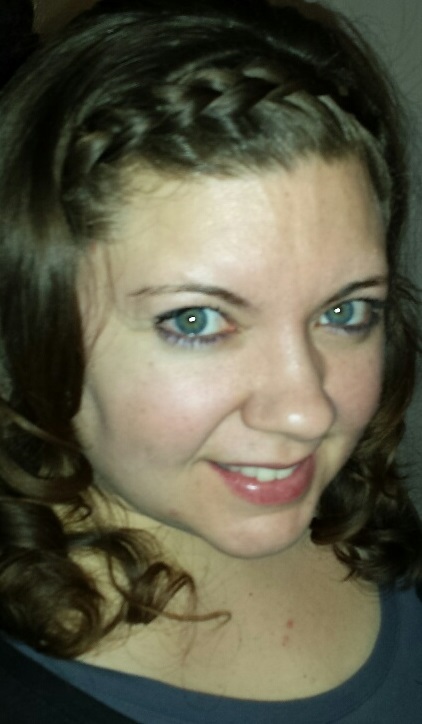 I’m the second oldest of six children. Growing up my favorite time of day was the early morning hours of quiet before everyone else was awake. I’d get myself some Trix or Captain Crunch, read the comics from the newspaper, and then I’d take a nice long hot shower. My other siblings did not appreciate this. By the time it got to be their turn to shower they were often squealing from the cold water. Sound familiar? While cold showers are reported to have some excellent health benefits, when one has the desire to relieve tension or sore muscles, increase oxytocin levels (oxytocin is the same hormone produced with hugs), ease anxiety, or take advantage of a natural decongestant for cold symptoms a nice warm shower is just the thing. So how do we get hot water in our homes? For most homes the source of hot water is a water heater. It’s an often overlooked piece of home equipment that we don’t think about until there is suddenly no hot water. 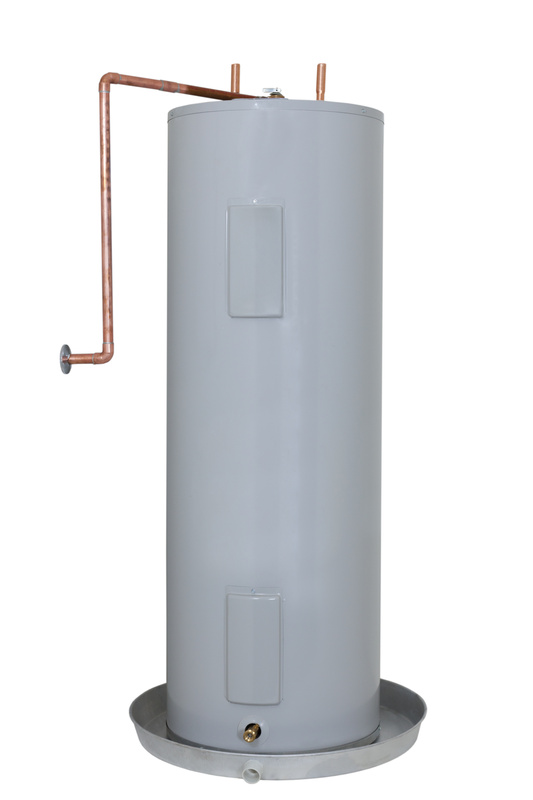 A properly maintained water heater will save money, last longer, and provide comfort and peace of mind. Maintaining your water heater is easy but should be approached with caution. Wear close toed shoes, and step back from the water heater when any draining is being completed as the water will be hot. If any task makes you uncomfortable please don’t hesitate to contact a licensed plumber. 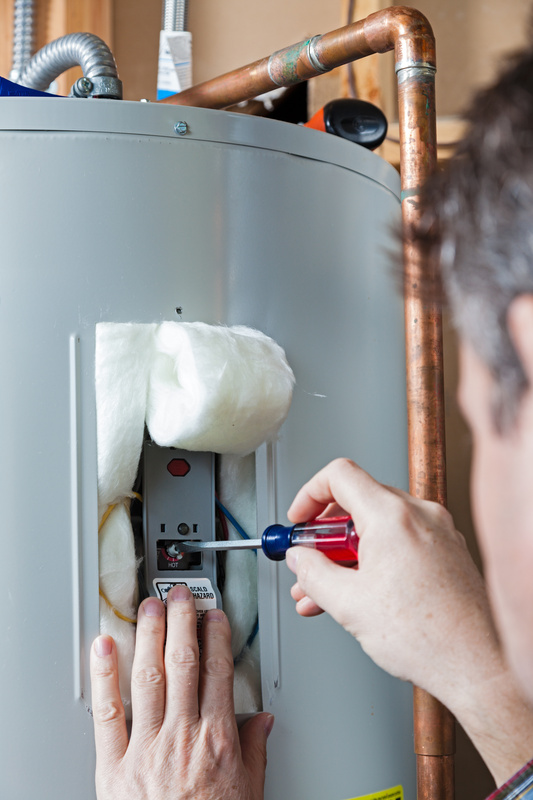 Check out the following tips to properly maintain your water heater. Flushing the water heater tank every 4-6 months reduces the amount of sediment and debris built up in the tank, increasing the life of the unit. Turn off the power and/or gas (turn gas valve to “pilot”) to your water heater. Close the cold water shutoff valve. Run a little hot water from a tap to allow the pressure inside the tank to equalize. Connect a hose to the drain valve and place in a bucket, tub, drain in your floor, or all the way outside if it will reach. Drain until the water turns clear. If the water is still cloudy after a few gallons, turn on the cold water supply briefly. This will stir up the remaining debris and sediment. After turning the cold water supply back off, drain the tank again until the water runs clear. Turn off the drain valve and remove the hose. Turn the water back on and refill the tank. Once the water heater tank is full, turn the power and/or gas back on. 2) Check the anode rod. An anode rod is a rod made of either magnesium, aluminum, or an aluminum/zinc alloy. It usually has a hex head screw at one end that screws into your water heater (this varies depending on what type of water heater you have). The anode attracts the corrosive elements in your water to decrease the amount of corrosion to the inner lining of a water heater tank. Check the anode rod regularly, generally once a year after the first three years. Checking the anode rod regularly and replacing it every three years increases the life of the unit. Drain up to 5 gallons of water from the drain valve in order to clear any remaining water from the hot water pipes that are above the level of the top of the tank. The anode rod can now be safely removed. Using a 1-1/16” socket and/or wrench loosen the hex head at the top of the tank. A small amount of water may come up when this happens (this is normal). Carefully remove the rod as straight up as possible. Try not to allow it to hit the sides of the tank as that will cause any loose particles to fall into the tank. You will need to get a new anode rod if the current one is encrusted in calcium, is less than a half inch thick, or has more than 6 inches of the core steel wire showing. Make sure that the new rod is cut to the correct length (if it’s longer it won’t seal and may cause damage to the tank). Insert the rod into the tank and tighten with the socket and wrench. Turn on the power and/or gas and water. There may be some initial discoloration to your water but running the tap for a couple minutes will cause the discoloration to go away. Magnesium rods are more effective but don’t last as long as aluminum or aluminum/zinc alloy anode rods. Unfortunately this will vary depending on the amount and types of corrosive elements and minerals in your water so there’s no real way to say how much longer one will last over another. Aluminum or aluminum/zinc rods are recommended if you have smelly water. All types are effective at reducing the amount of corrosion and mineral build up inside your water heater so it doesn’t really matter which you use, just be aware you may need to replace the magnesium anode rod more often. 3) Test the temperature-pressure relief valve and check for leaks. Place a small container beneath the discharge tube. Flip open the relief valve and let it run for about 5 seconds to ensure that valve opens completely. Release the valve and make sure that it closes completely. Check for leaks around the valve. If there are any leaks you will need to have the valve replaced immediately by a licensed plumber. 4) Insulate the tank with a blanket. Insulating older units with a fiberglass water heater jacket, or R-4.5 foil-covered bubble wrap can improve efficiency, reducing heat loss and saving on water heating costs. Using 3/8 inch thick self-sticking foam pipe insulation that matches the diameter of your pipes, wrap the pipes as far as possible. Peel the tape from the foam and then squeeze the insulation closed around the pipes. If the pipe is 6 inches or less from the flue, use a 1 inch un-faced fiberglass pipe wrap and foil tape. Insulating your pipes helps in several ways. Insulating the cold water pipe will prevent condensation and dripping in warmer temperature like during the summer. Insulating the hot water pipe will reduce heat loss. Water heaters generally have a factory setting to heat water to 125◦ F. This is hot enough to cause first degree burns to skin on contact. When turned all the way up to maximum temperatures it can cause extremely serious injuries from even indirect contact with the water. We highly recommend that temperature of your water heater not exceed 120◦ F. On the other hand adjusting the temperature of your water heater can save up to 5 percent on energy costs for every 10 degrees the temperature is lowered. To change the temperature of your water heater find the dial located on the side of the water heater tank. Using a flat head screw driver (or the nob) adjust the temperature not exceeding the 120◦ F mark or within the “normal” temperature setting. To save on energy costs while you are out of town for more than 3 days, try turning the water heater temperature to its lowest or “vacation” setting. You may have noticed that the first few steps for tips 1 and 2 are the same. I recommend completing these tasks at the same time to save on water usage. Insulation to the pipes and unit will only need to be completed once. Again, if any of these tasks is too overwhelming or you just don’t have time, please don’t hesitate to contact a licensed plumber. Preventative maintenance will increase the life of the unit and save on energy and it’s much cheaper than replacing your hot water heater. Do you have any questions or more tips to share about maintaining your water heater? We’d love to hear from you. Please share your comments or questions below.